Amaranth seed is a gluten-free grain that is very high in Calcium and Protein. This tiny grain can be easily used as a salad topping or for making energy balls. 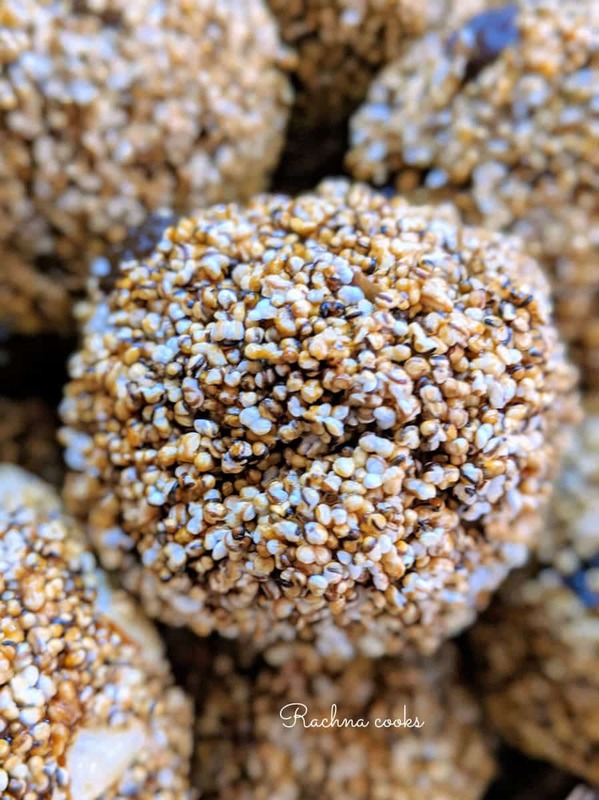 I recently made these high protein popped amaranth seed energy balls at home. They are incredibly light and tasty. Perfect for a guilt-free evening snack that is high in nutrients. Seriously win-win! If you can get popped amaranth seeds then it makes your work even easier. Else, it took me about 20 minutes to pop a large cup of seeds. Rest of the process is super simple. 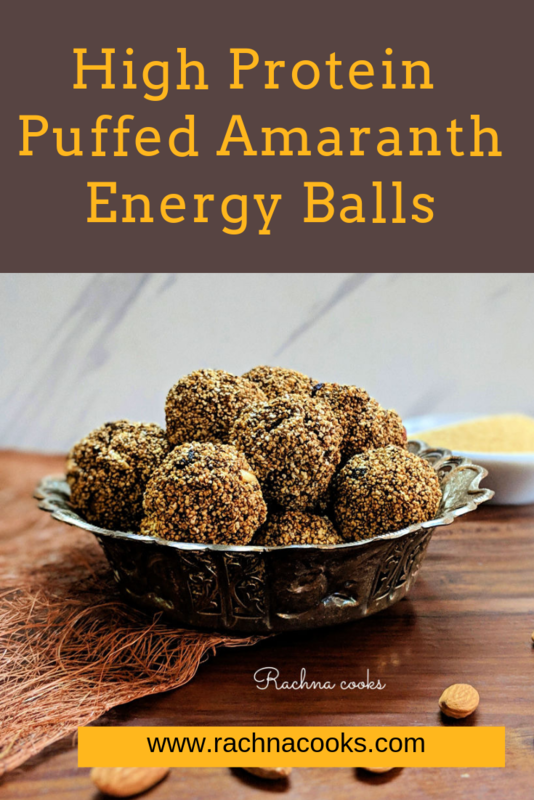 These popped amaranth seed energy balls are super tasty and nutritious. They are pretty simple to make as well. Do try this easy recipe. 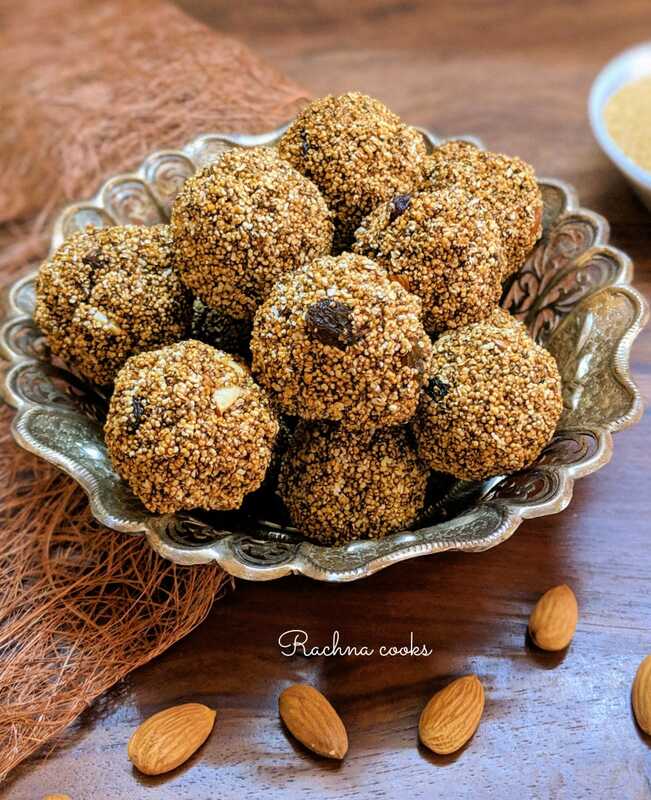 They are also called Ramdana laddu or Rajgira laddu. Pop 1 cup amaranth seeds. It doubles in volume. It is easy to do. Just remember to use a medium hot pan. Only pop about a tbsp. at a time or else some will stay unpopped and others will be burnt. See the video I have shared. Once the amaranth seeds are popped, keep them aside. Take jaggery powder or flakes and melt them in a hot pan. Add about 2 tbsp. of water and cook for about 3 minutes. Meanwhile chop your almonds. Mix almonds and raisins with popped amaranth. Pour jaggery slurry on to the amaranth nuts mix. Mix well using a spatula till you get a sticky mix. Now form round balls in the palm of your hand. Do this when the jaggery is still warm. This recipe makes about 12-15 balls. Your amaranth seed energy balls are ready to eat. Keep them in airtight containers and consume them within a week. 1. You can use any nuts you like eg. Figs, cashews etc. 2. You can also use sweeteners like maple syrup or honey instead of jaggery in which case no cooking is required. 3. Don’t keep these balls for too long as their crunchy texture will not stay for long. 4. These are very light and perfect healthy snack for kids and adults. 5. Watch the video to understand how to pop amaranth. I hope you liked this recipe of Ramdana Laddu or Rajgira Laddu as it is called in Hindi. Either way, these amaranth balls are truly tasty and worth making. Do try and let me know how they turned out. Rachna, Now I have become your fan totally. All your previous posts are very useful for me. Will try out this recipe. Awww Thank you so much, Lata. That is such a lovely thing to say. I hope you do like making these. Ping in case of any issues. Hope you like them. Do tell. Is this til ka laddu, Rachna? All your recipes are so easily explained but I’m just too lazy to try! Yep, they do look like til laddoos not are totally different. 😊 Thank you. The colour came from jaggery. 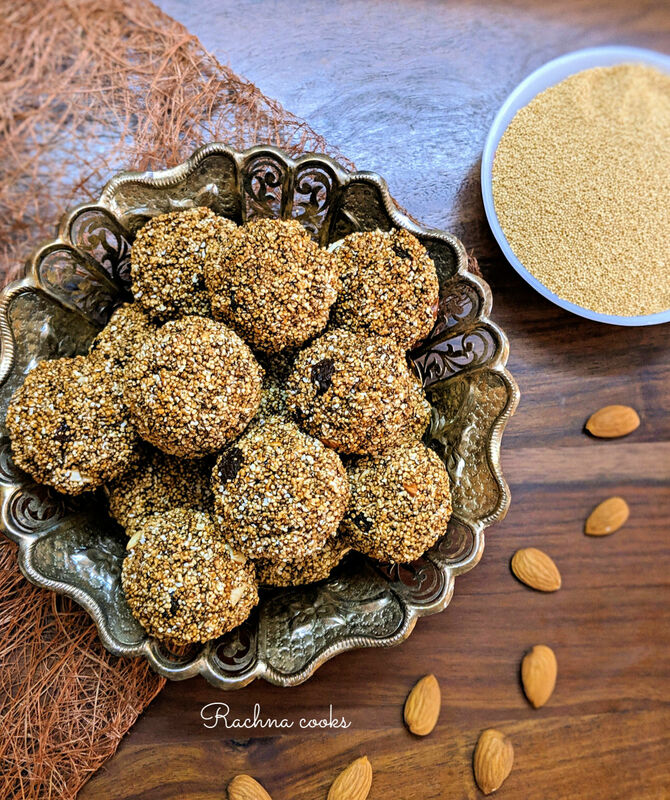 My grandmother used to make these Ramdana laddoos and I had no idea they were so nutritious. There are so many things from our childhood that we ate without a thought, realising only now that perhaps it was all of that contributed to our good health. And I keep wondering why my children have such low immunities. Let me see if I can find popped Ramdana. It seems like a cumbersome process although your video does make it quite clear. Haina! Same here. All those gond ke laddus etc. that we took for granted back then. Now I am reaching out to elderly ladies to understand how to make them. Exactly, I wonder if these were the raaz of our good health and better immunity. Yes, that popping thing is time consuming but fun. And do watch the gur ki chashni. Make the laddoos before it cools down. Otherwise use honey or maple syrup. Easy to bind but I prefer the taste of gur. 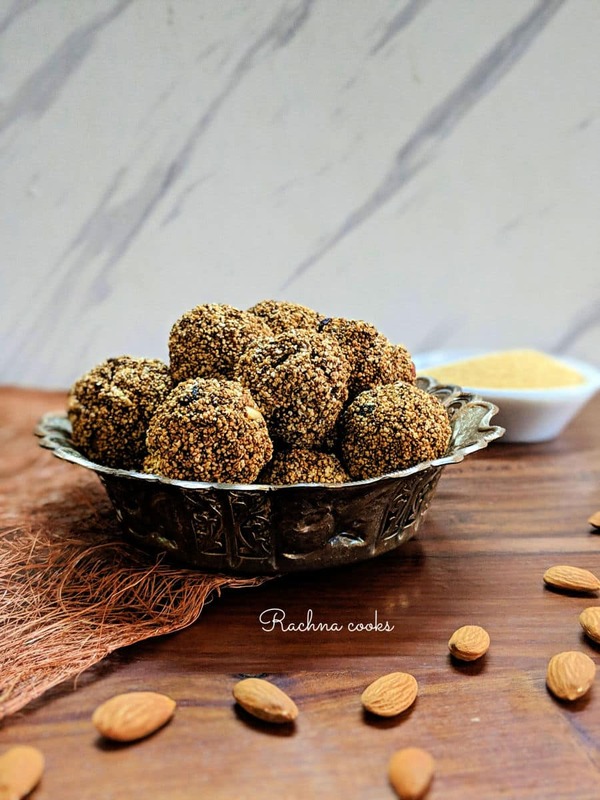 I don’t think I will find amaranth seeds here but this post (and many comments) motivates me to try making til ke laddoo. Chalo, woh bhi achche hain. But you know amaranth seeds are very popular globally now, so I think you should be able to source them easily. Growing up in Bombay, Rajgira Chikki was almost a staple at home. I have been looking for Amarnath Seeds every since I read, and salivated, at your Insta post of these ladoos. Hope to get the seeds soon and make these delicious rounds! I used to love amaranth laddoos as a kid. I had no idea it was so easy to make these! And thanks for the video on popping amaranth. I bought a packet of unpopped amaranth and didn’t know what to do with it! 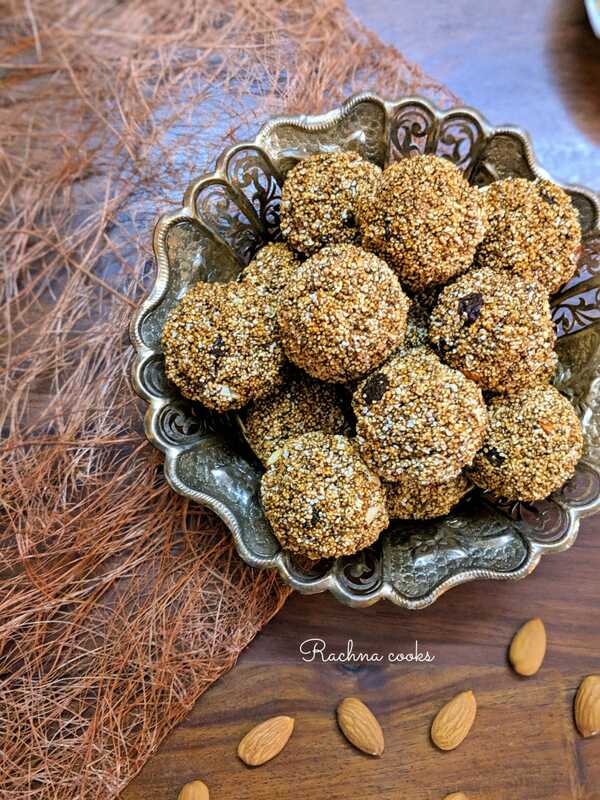 Have heard a lot about Amaranth ladoos but have never tasted them. We have a shop here that sells such healthy home made goodies. Will try that out and will hopefully someday make at home too. Thanks for sharing your recipe,Rachna! This looks and sounds so delicious and healthy! I’m definitely going to try this soon.